I went and saw the new Batman with my hubby and this is what I wore. 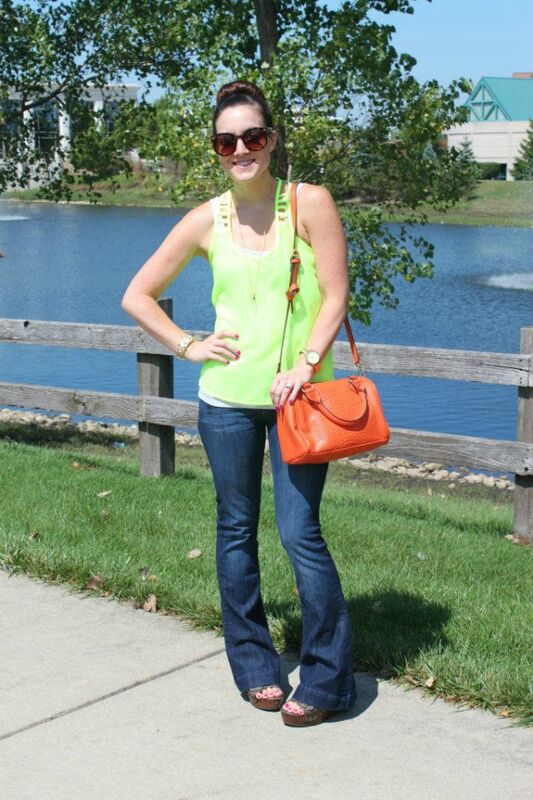 I love the idea of mixing neon's with neutrals (previous posts doing so here and here). I don't generally wear two shades of neon colors together (well not since the early 90's anyway) and I loved how it look when I was styling my outfit. What do you guys think? Fans of neon's or leave it in the 90's? I really love that top! Especially the cut outs in the back. I don't own anything neon but I always like it on other people. 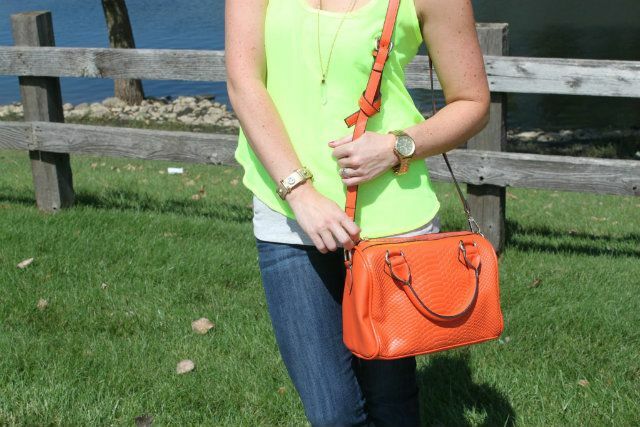 Lovely neon contrast between your top and bag ! PRETTY COLOR AND I LOVE THE UP-DO.. I TRIED DOING THAT BUT TURNED UP NOT NEAT ENOUGH.. I GUESS IT TAKES PRACTICE, NO? Great colors ... nice bag. such a cute laidback look! Major fan of the neons and could not be happier they are back!